Set sail on a new adventure at our Sarasota hotel. Our beachfront resort is just minutes from St. Armand's Circle. Reserve your stay in paradise today. St. Armand's Circle, your well-appointed resort room is near the very best the City of Sarasota has to offer. Hang out and relax by the Gulf-front resort pool area and drink up the sunshine. Or find a peaceful place to sit and enjoy the warm waters of The Gulf of Mexico on our pristine, white sand beach. From the moment they wake up until the moment they flip off the lights and gaze at the night sky from the guest room balconies, our guests enjoy the services and amenities expected of a beachfront resort. 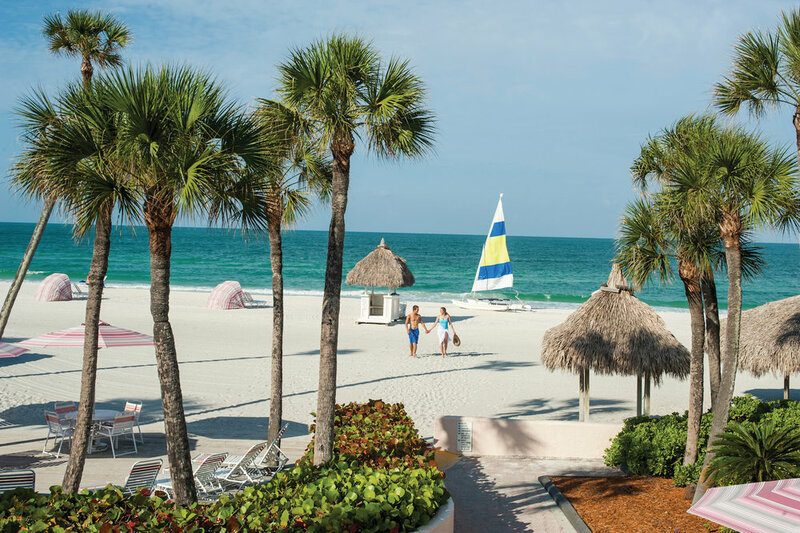 Book a stay at the Sandcastle Resort at Lido Beach and you'll enjoy the relaxing sunny flavor and perfect seaside setting of our 600-foot strand of pristine, natural white sand beach. Read the morning newspaper while enjoying the pleasures of outdoor dining for breakfast and lunch, or surf the Wi-Fi on your electronic devices. Shop at the convenient on-site gift shop or for a more adventurous outing, explore the nearby fine shopping and entertainment attractions at St. Armand's Circle. We offer a courtesy shuttle to transport you there, or enjoy a brief walk to enjoy the sights along the way.